We’re on our 3rd ‘harvest’ and we feel so accomplished. Our cherry tomatoes are 100 times sweeter than the ones we get from the supermarket. We’ve had them in salads, in pizza and just as plain tomatoes eaten straight from the plant. Ahhh the wonders of having a gardony. Sooo purty!!! Oh and of course yummy too. It worked! I can’t believe the husband pulled it off. He’s not all the way there yet but it definitely looks promising. 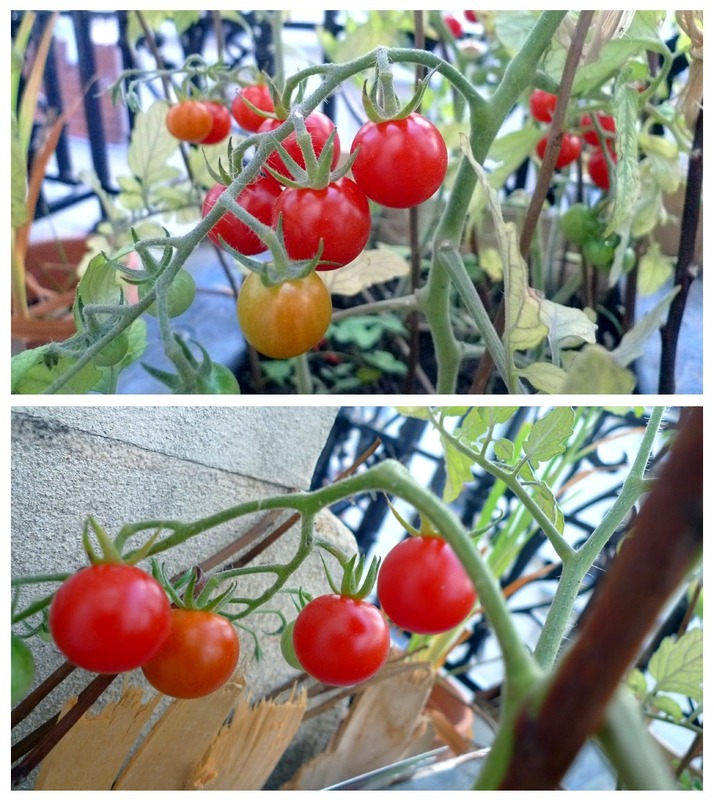 I never thought we’d be able to grow cherry tomatoes and pepper on our makeshift garden on the balcony but there you are. The first semi-“fruits” of the husband’s labor (I was sorely tempted to say ‘our’ – but I didn’t contribute one bit to this one). 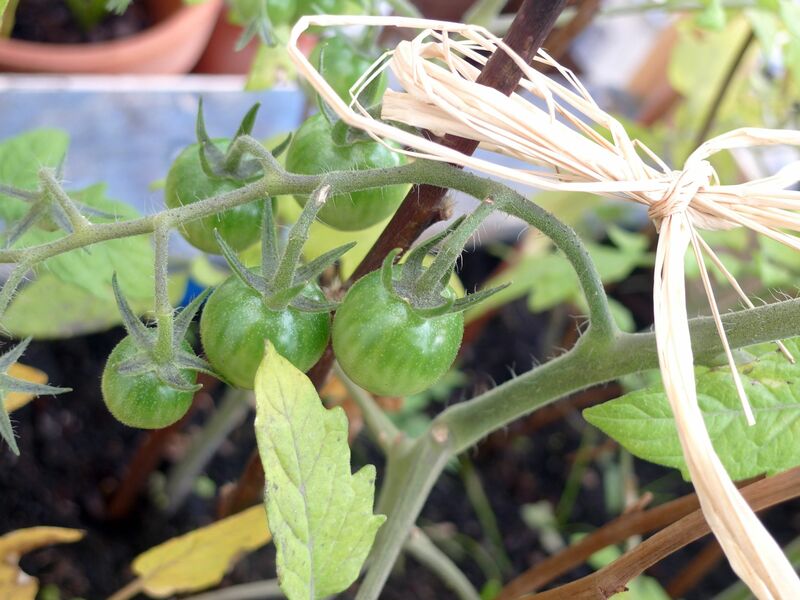 Soon they’ll be turning red and they’ll be going straight into a nice fresh garden tomato salad – or my mouth. Depends on whether I’m gonna get caught or not. I have no idea if this is a green bell pepper or a cayenne pepper but I don’t think this is going straight into my tummy. Pretty little flowers. No idea what these are but we bought them from Britanny last year and they’re still alive. 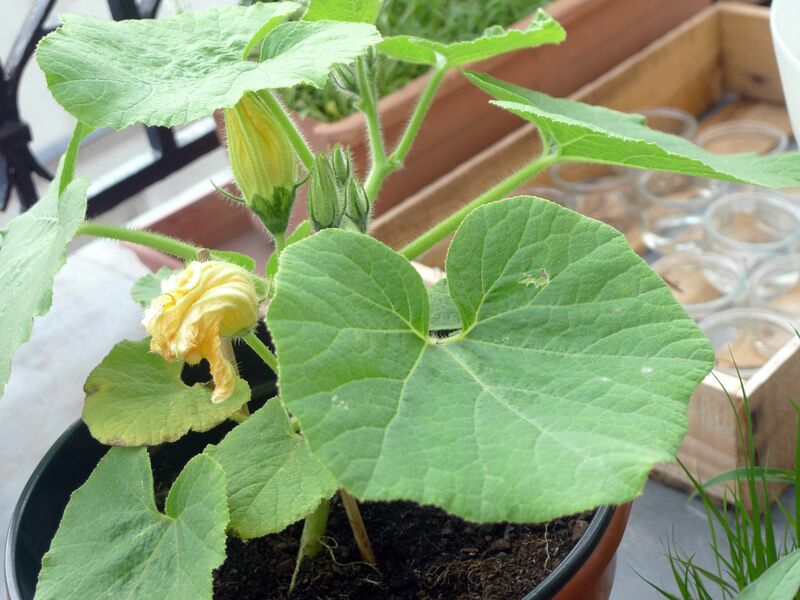 Look, it’s a pumpkin flower. We (again, used loosely) tried to grow some last year. It produced the same pretty yellow flowers but then just shrivelled up and died and we were left with a pumpkin as big as a marble. 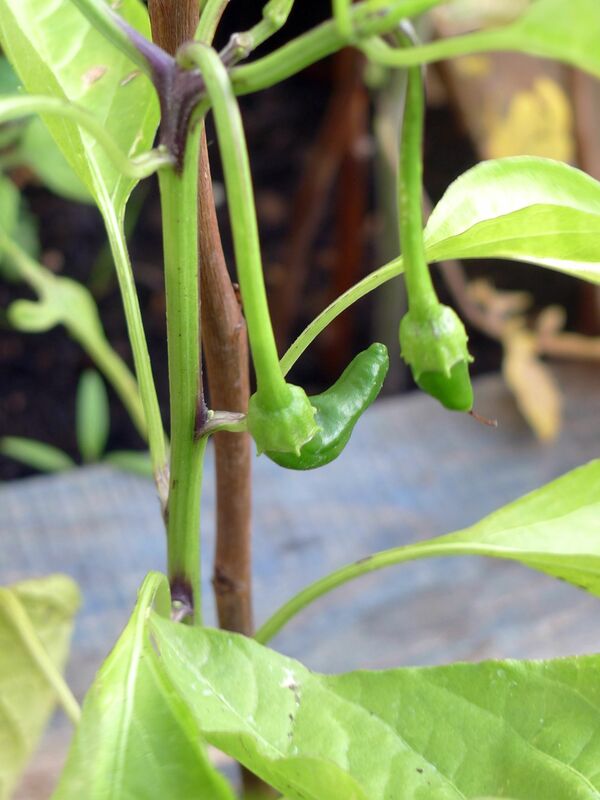 Looks promising this year – maybe it needed a bigger pot. Don’t believe me? Check out the gardony a few weeks back – click here. 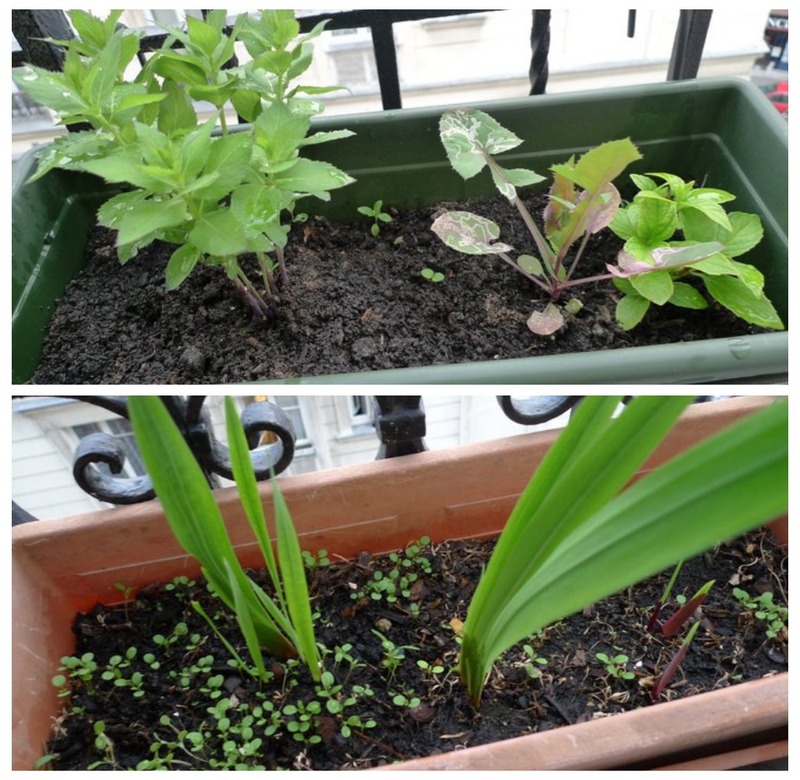 But wait, after the jump, more pictures of our plants! That’s right, I invented a new word, sweet! It’s a mix between a garden and a balcony. Harhar so funny. But we do have one – a gardony. Well, at least we are trying to have one. When I was growing up, I’ve had my share of gardens – we even had a make-shift tree house on a mango tree behind our house. But the husband never had that pleasure. He’s only had sandboxes in city parks and the beach – not bad at all, in my point of view. And so, he’s always excited when he sees plants and dirt. I guess not having those while growing up really got into him. Now his ultimate dream is to have a tropical jungle at home. There’s just one problem – we live in Paris. 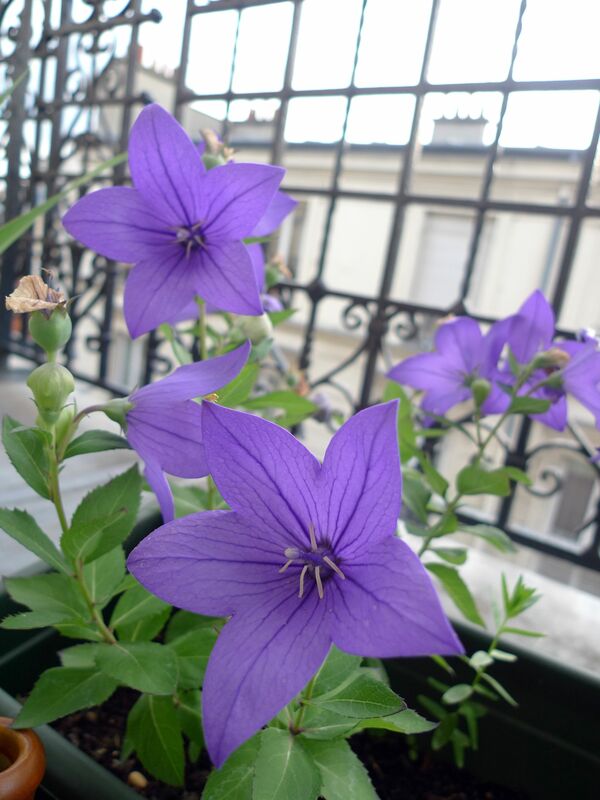 Having a real garden in Paris is a mega challenge. We are just lucky to have a long balcony that goes all around our flat. Although it’s not too wide, the length absolutely makes up for the lack of space. But apparently that’s all the space he needs (for now) to start his mini jungle. 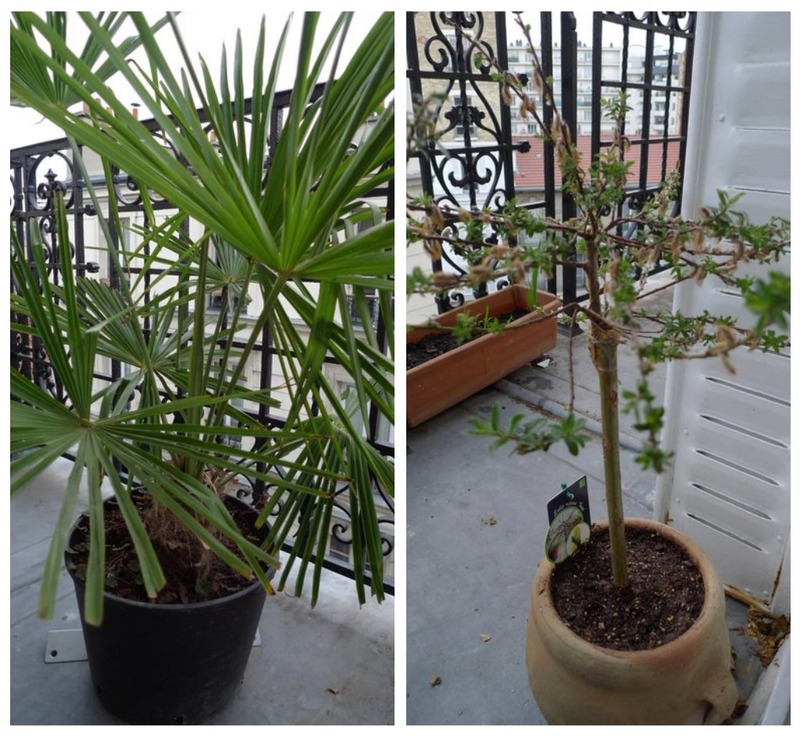 So one day, with our trusty caddy, we hauled our lazy asses off to Truffaut near Bercy and got us some plants. 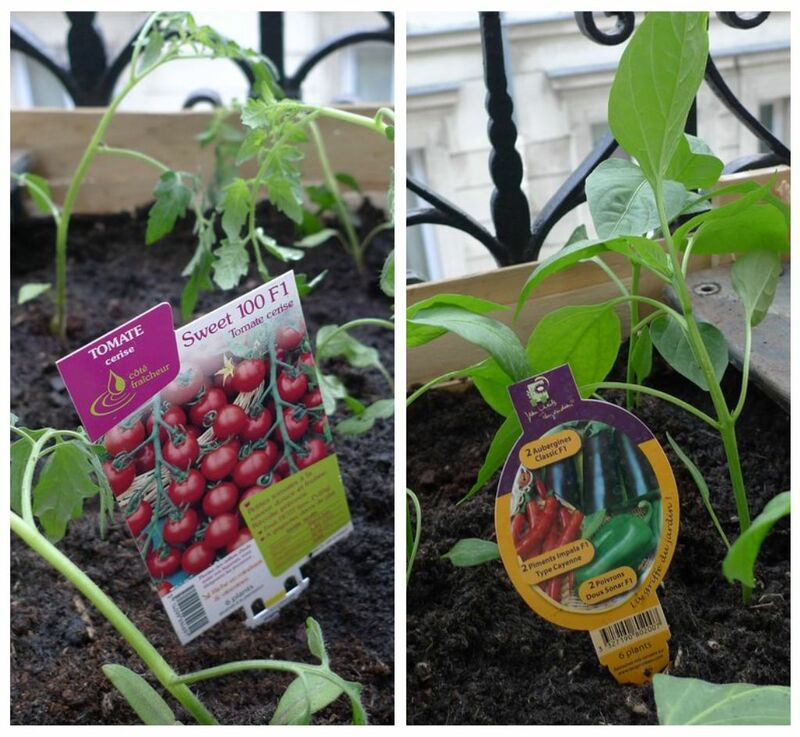 Well, the husband already had a few on the balcony but he wanted to buy food plants so we’d have a supply of cherry tomatoes, aubergines and peppers all through summer. Asa pa. But no harm in trying. He created a sort of base using old palettes picked up on the street. 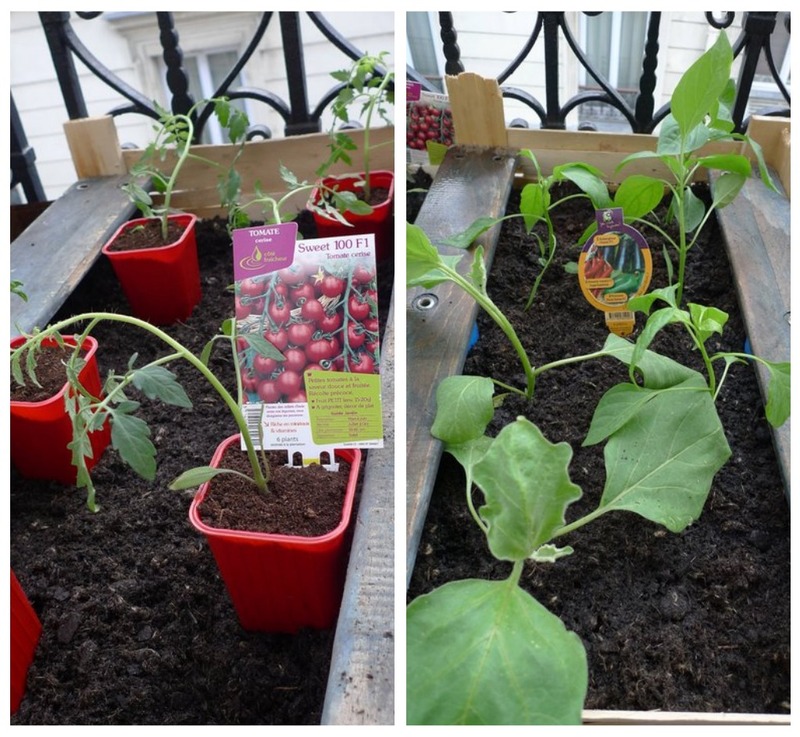 We just needed to buy the soil and the plants and voila, instant vegetable garden. But that’s not even 1/4 of the balcony. I alloted him 1/3 of the balcony to set up his mini gardony. 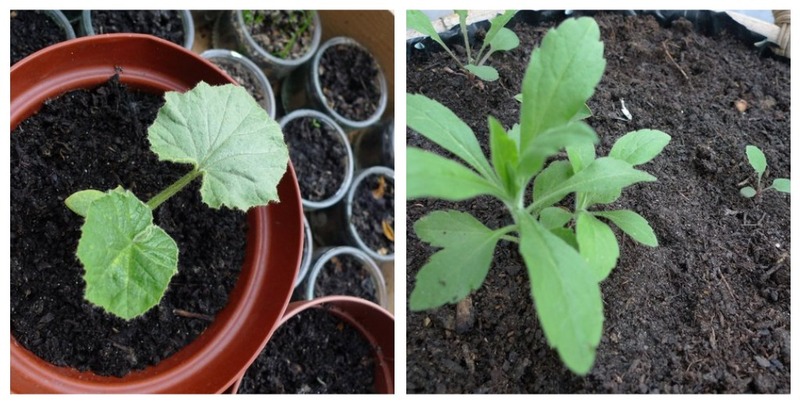 The rest (of the 1/3) is for various plants he has planted, re-planted and collected over the years. These are just a few of the plants we have. Before we left on holidays in March we had twice as much plants. But due to the fact that there was no one in the flat most of the time (the in-laws were here every other week I think) and it was unusually hot and sunny in France that time, most of them died – including our christmas tree that we have used for the past 3 years – RIP. But that did not let the husband down. The small pots above are full of seed of who knows what kind of plants and they are actually growing. I bet he’ll be replanting those in bigger pots soon enough. But his real pride and joy is his palm tree. He got that for his birthday last year and it withstands -10 degree weather. Amazing. And that other tree is sooo weird. I have no idea what it is but he bought that in Britanny a few months back. I’m actually proud of him that he was able to get this garden thing going. He really does have a green thumb. I have yet to show you the wild plants in our flat. It’s actually nice to have some greenery around the house. It feels so alive. And now that summer is fast approaching, we are looking forward to eating breakfast and dinner on the balcony and being surrounded by nice plants will sure make that very interesting. Why don’t you try your own garden sometime? Apparently it’s very stress relieving (according to the husband of course).